Basel is a city in northwestern Switzerland on the river Rhine. Basel is Switzerland’s third-most-populous city. Located where the Swiss, French and German borders meet, Basel also has suburbs in France and Germany. The official language of Basel is (the Swiss variety of Standard) German, but the main spoken language is the local Basel German dialect. Basel has an extensive public transportation network serving the city and connecting to surrounding suburbs, including a large tram network. 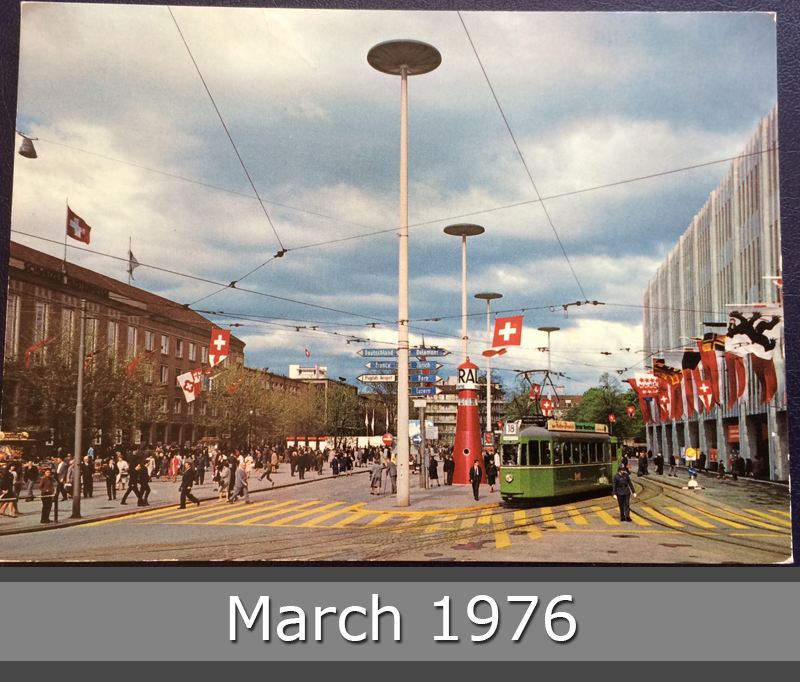 The green-colored local trams and buses are operated by the Basler Verkehrs-Betriebe (BVB). The yellow-colored buses and trams are operated by the Baselland Transport (BLT), and connect areas in the nearby half-canton of Baselland to central Basel. 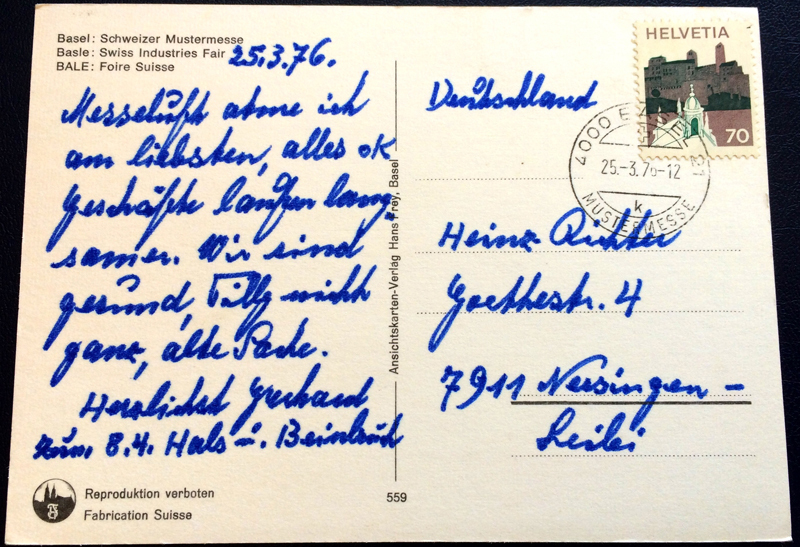 This beautiful postcard is stamped in Basel Switzerland March 1976 and goes to Germany.